Laura Murphy will need to call on all her grit and determination to retain her beloved farm... But will her fierce self reliance close her off to the possibility of love? Since inheriting Nambina, the property that's been in her family for generations, Laura Murphy has worked wonders. Rather than just focus on farming she has set up a successful school teaching women the basics of managing a property - from fencing and mustering to handling the financial side of the business. But the notoriously self-reliant Laura is lonely and still scarred by a tragedy from her past. She's also grappling with the hostility of her nearest neighbour and former best friend, Meghan Hunter. The fact that Laura's ex-boyfriend Josh is Meghan's brother only makes things worse. By the bestselling author of Red Dust, this inspirational novel celebrates strength in the face of adversity as well as the enriching power of love. Fleur McDonald knows what she's writing about. After growing up on a farm near Orroroo in South Australia her first job was jillarooing in the outback. She's now closely involved in the daily management of the 8000-acre station she and her family live on near Esperance in Western Australia. 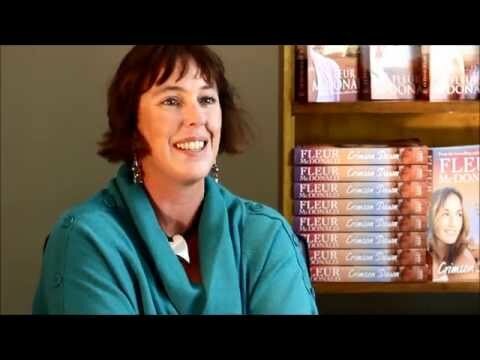 Fleur is the author of the bestselling novels Red Dust, Blue Skies and Purple Roads. Another great read. Lots of romance in her books.